At Brinc, we develop, guide, and nurture food companies catering towards sustainable food trends by making a contribution to the innovation and originality of Asian foods. In addition to our online curriculum and technical onsite training, our program gives a boost to startups seeking financial and production support to develop innovative and sustainable food products with high nutritional impact. Program in Hong Kong and as needed per team. Customised curriculum, a deep bench of in-house experts and a mentor network to guide you on food product development, production, processing, marketing, branding and distribution. Weekly 1:1 office hours with each subject matter expert of the Brinc Accelerator team for continuous support and push towards goals. Weekly roundups: mandatory weekly calls with at least 3 teams on each call to share updates on plans, progress and problems. 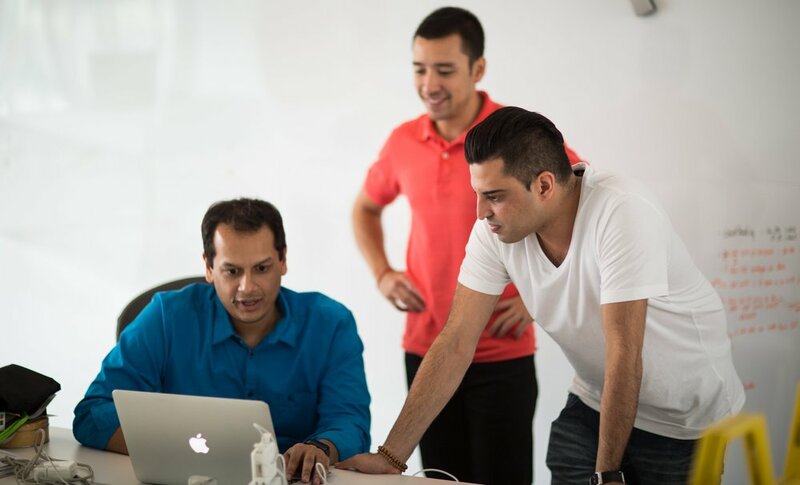 Monthly 360s: 1-hour sessions with the Brinc Accelerator, Studio and Growth teams to take a 10,000 foot view of the startup’s progress, challenges and plans. Global mentor network of experienced operators aiming for quality over quantity. The diverse investment categories for this program all fall under sustainability. Finished food products and food ingredients, food packaging, insect protein products and animal/plant agricultural solution will be considered. Details are listed below. Coffee creamer, soup, emulsifier, sweetener etc. Our team guides companies to develop a viable food product. The product development process involves 5 stages covering product prototype development to marketing and distribution. Assessing the market, available alternatives, and the measurable impact of the product. Development of a product prototype in partnership with our affiliated kitchen networks. Host private dinner for sensory evaluation and final prototype. Packaging and licensing approval followed by a restaurant roll out to validate product and price points. Placement of direct orders from retailers and merchants, financial analysis, MVP roll out. Patents develop leverage in value, M&A and licensing across industries and categories. Co-Founder & CEO of Just,Inc. Josh is the CEO of Just. Inc., an entrepreneur, speaker and writer. His work was featured in Bloomberg Businessweek, NPR and The New York Times. Just. Inc is one of three companies to be featured in Bill Gates' documentary; The Future of Food. He has presented at a TED conference in Edmonton, Alberta, Canada on the future of food. Cristina has 20 years of experience working in Luxury, Retail and Technology for the world’s most prestigious brands connecting creativity and innovation. As Chief Catalyst Officer reporting to the Chairman & CEO of LCJG, Asia’s pre-eminent luxury lifestyle Group. She forges links with global thought leaders, disruptors and game changers beyond retail, stimulating ideas and new ways to partner. 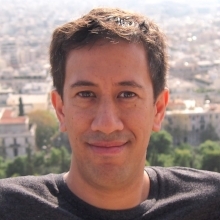 Mattan is a private equity investor with over 15 years of industry experience, involved in both deals and investor relations, at Asia’s top PE firms, including Fosun Group (a $200bn conglomerate), Hony Capital (a $15bn firm), Ally Bridge Group, and CLSA. He is currently an investment director and head of the capital group at Lan Kwai Fong Group. Certified Food Scientist, Adjunct Professor - Jinan University and Lecturer - the University of Hong Kong. Alfred has over 30 years of strategic & general management experience in the food industry covering R&D, quality assurance, food safety, manufacturing, and business development with the leading Fortune 100 multinational companies in FMCG, in addition to US Government and academia. He has held executive positions in both the United States and Asia; leading research and consulting in food product development, manufacturing and quality management systems. Prof. Corke is a "Shanghai 1000 Plan" foreign expert, and full-time Chair Professor in the Department of Food Science and Technology, School of Agriculture and Biology, Shanghai Jiao Tong University. He is an internationally prominent scientist in the field of grain quality and genetics; and chemistry of starch and bioactives such as polyphenolics. Based on the statistics of ISI Web of Knowledge, he has published more than 200 SCI indexed research papers, and is in the top 1% of scientists by citations in the field of Agricultural Sciences. Elaine is a lawyer-turned-social-entrepreneur with over 10 years of experience in corporate and finance law, from IPO and M&A to structured products and investment funds. After completing the inaugural Masters in Entrepreneurship in the Foster School of Business and getting her hands dirty in a few start-up ventures, she is currently establishing GFI’s operation in China and working with policymakers, scientists, corporates, investors, and entrepreneurs to accelerate the growth of the plant-based alternatives and clean meat industries in the region. David Yeung is a noted environmental advocate and founder of Green Monday, an innovative social venture that takes on climate change, food insecurity, health issues and animal welfare with a diverse platform that shifts individuals, communities, and corporations towards sustainable, healthy, and mindful living. Shelly is a co-founder & director of a production company based in London. She produced and directed the award-winning feature documentary PLANEAT (www.planeat.tv). She previously worked with Burberry, managing a team of directors, editors and animators to create diverse range marketing outputs including digital, PR, social media and events. Krizia has seen a diverse career across F&B, Hospitality and Retail industries in Asia Pacific. Her recent posts include Head of Innovation and Digital at McDonalds, post-merger integration lead at Marriott with Starwood and Ritz Carlton, and global Marketing for travel retail at LVMH Group. She has worked in investment banking at Merrill Lynch and management consulting at McKinsey & Company. Simon is passionate about supporting angel investing in plant-based startups and contributing to a better food system for the world. Simon has over 10 years experience in tech entrepreneurship in Asia, most recently at app-maker Frenzoo where he is CEO and Co-Founder. Simon is also founder of Bite Society, a mission-driven project creating affordable plant-based snacks. Locally, Simon is a co-founder of the Vegans Hong Kong community and helps organize various events and initiatives . Simon spends his time between Hong Kong and Melbourne, Australia. JUST brings healthier and more affordable food to everyone, everywhere. Their tool kit recognises over 350k patterns of plant based properties with machine learning algorithms. 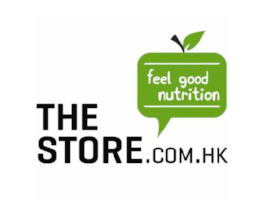 The Store.com.HK brings customers top international brands, providing the world’s best quality vitamins, superfoods, personal care items, organic groceries and sports supplements. PMQ champions enterprising creativity (turning Creativity to Business) and nurture local create-preneurs and designers. Moreover, we promote an appreciation of creativity to the community. Taste Library - holds a collection of 3000 books covering different food cultures from around the globe: from classic recipes to travel and living. ABC Cooking Studio - founded in Shizuoka, Japan, in 1985, not only a cooking school but a space for entertainment. 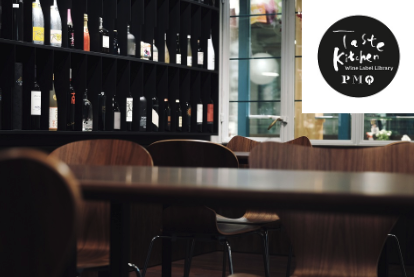 Taste Kitchen - incubator to facilitate the nurturing and promotion of the city’s most promising up & coming culinary talents Every month, Taste Kitchen will be transformed into an exciting new restaurant, starring a different chef and a different dining concept. Must my product be plant based to be considered for Brinc’s Food Lab Accelerator Program? 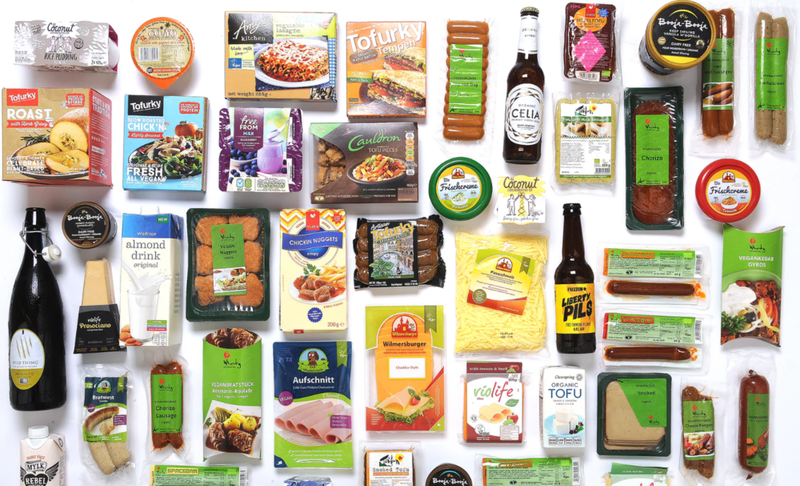 Brinc considers all food products/formulations and packaging as long as they adhere to a sustainability theme or fall within the ‘foods with impact’ category with added nutritional value. Products specific to the agricultural sector will be considered, but the offer may be modified accordingly. -Finding innovative ways to utilise unwanted animal parts to reduce and eliminate waste in the livestock industry. -Animal products with superior nutritional value obtained in a sustainable way. -Technologies improving animal livestock yields, health and well-being, thereby reducing/eliminating antibiotic use. -Efficient methods to alleviate animal suffering during slaughter. Are applicants required to have food science/nutrition technology qualifications? No. The applicants are only required to be self-motivated, passionate and dedicated to producing a high quality food product with impact on sustainability. Having a food company registered in Hong Kong is an added plus. What are the commercial terms for the program? Teams joining the acceleration program give 10 - 15% in common shares for USD$80,000 & full support of the accelerator. We invest in teams tackling a wide variety of problems from all over the world, coming from different markets with different economics and benchmarks. Why do we need to register our business in Hong Kong? Hong Kong makes a lot of sense for establishing a business entity. If you source goods, do R&D, or manufacture in China, conducting business through a Hong Kong entity saves time and money thanks to a special agreement between Hong Kong and Mainland China called CEPA allowing the free movement of goods and capital. Very business friendly: no foreign ownership restrictions, low and simple tax system, rule of law and respected judiciary system makes contract and legal work dependable. Unbeatable location as part of the Greater Bay region and within five hours of half the world's population. One of the world's top logistics and aviation hubs. How long is the accelerator program? And is it possible to receive additional support after the program? The accelerator program is a minimum of 1 month. Considering the circumstances and whether there are adequate funds available, an extension may be permitted. Why did Brinc choose to run the program in Hong Kong? We’ve always been attracted by Hong Kong, a city known for its vibrant and diverse food culture. With Brinc’s accelerator platform located in the Hong Kong, your company will be inspired by the culinary creativity of the city and insatiable appetite of its residents. Hong Kong boasts 15,000 licensed restaurants, cafes and bars, as a city with the highest density of restaurants in the world. The competition is fierce as local residents have tried it all. Piloting a new food product in Hong Kong is the ultimate taste challenge. We’ve always been attracted by Hong Kong, a city known for its vibrant and diverse food culture. If you have any questions, feel free to talk to us now.